* Kindly leave us a comment of which flavors you prefer. Always organic: Never any artificial colors and flavorings. Sweetened with 100% fruit juice. 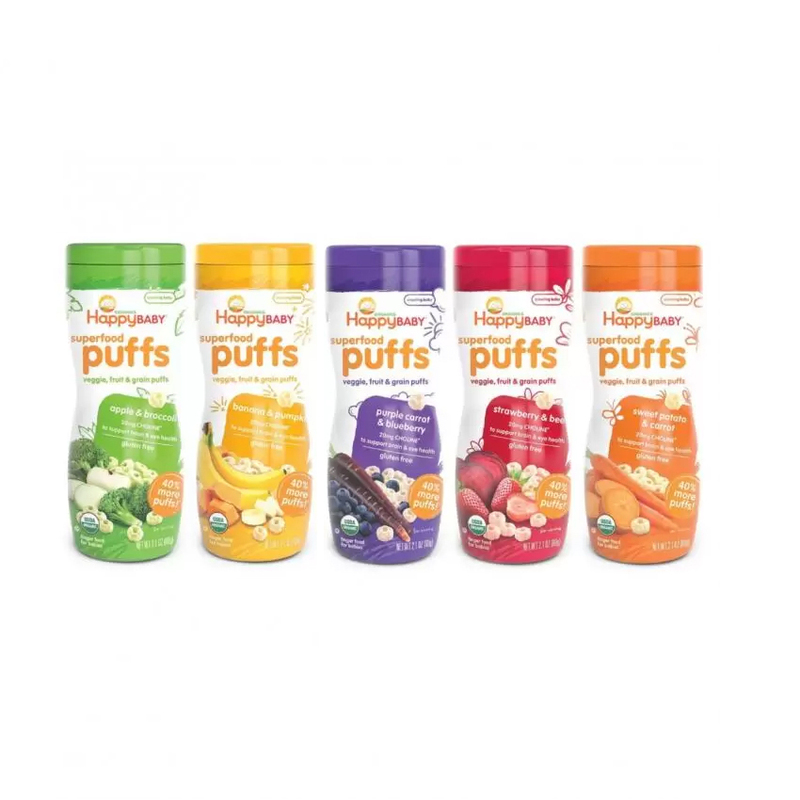 Our puffs are made with organic whole grains, fruits and vegetables. Vitamins and Minerals: (10%) of your baby's daily value of Vitamin D based on the latest recommendations from the American Academy of Pediatrics. We support: Organic fertilizers, no genetically modified organisms (GMOs).